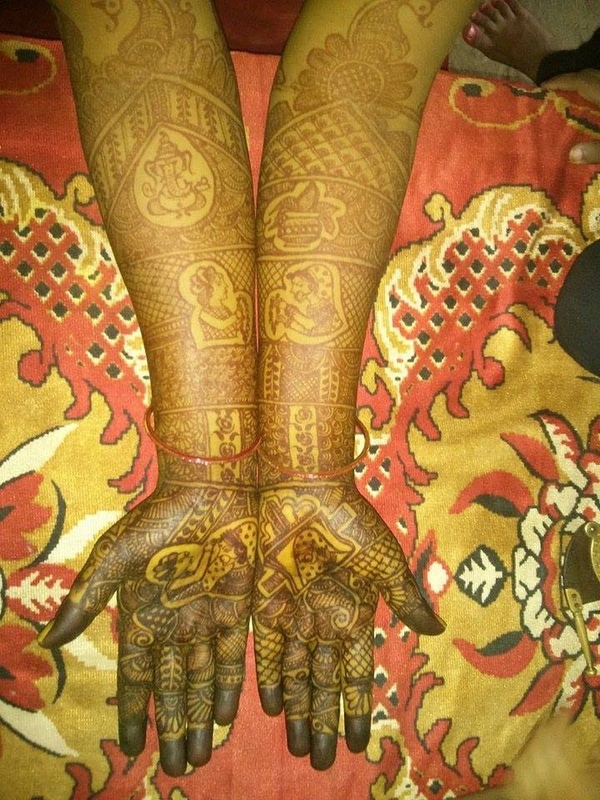 Meenal is a Delhi-based bridal mehandi artist, who specializes in intricate traditional Indian and Arabic bridal mehandi. She is very well known for adding wedding themes like bride-groom, dulhan in doli, dhol, ganesh, baarat and Krishna dancing on lotus. 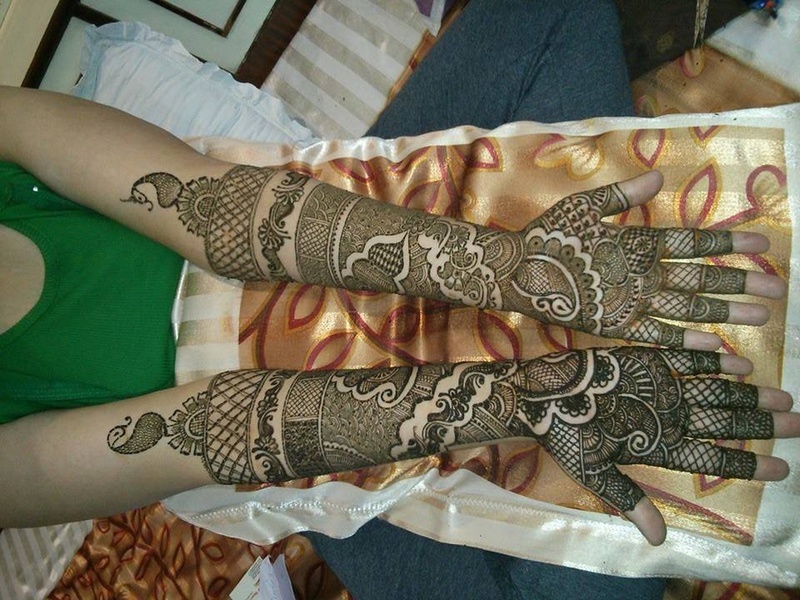 The talented artist also offers customized mehandi designs on request. She uses henna made from the best henna plants and even applies a self-made henna paste to get an enhanced color. She avoids chemicals or dye to make it completely safe and skin friendly. Malviya Nagar, New Delhi, Delhi -110017, India. Meenals Mehndi Kala is a bridal mehndi artist based out of Delhi . Meenals Mehndi Kala's telephone number is 76-66-77-88-99, Meenals Mehndi Kala website address is http://www.meenalsmehandi.com/, Facebook page is Meenals Mehndi Kala and address is Malviya Nagar, New Delhi, Delhi -110017, India..
Meenals Mehndi Kala is mainly known for Bridal Mehndi, Wedding Mehndi, Indian Mehndi, Arabic Mehndi. 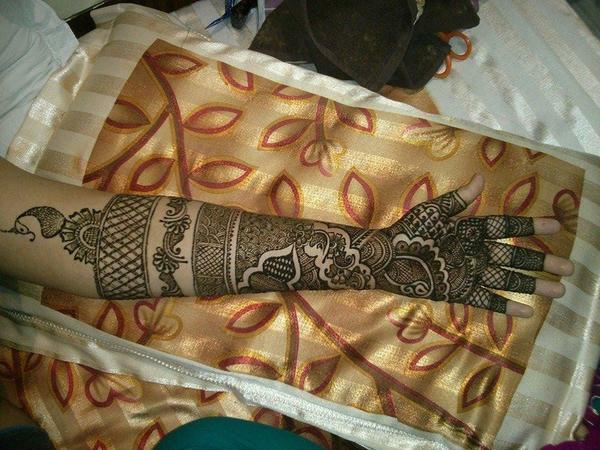 In terms of pricing Meenals Mehndi Kala offers various packages starting at Rs 11000/-. There are 1 albums here at Weddingz -- suggest you have a look. Call weddingz.in to book Meenals Mehndi Kala at guaranteed prices and with peace of mind.